Two US military B-52 bombers flew over territorially-disputed islands in the East China Sea without informing China, while two of Japan’s largest airlines also refused to comply with the rules of Beijing’s newly set up air defense zone. On Tuesday it was revealed that two US military planes flew over the disputed islands without informing the Chinese authorities. “We have conducted operations in the area of the Senkakus [Japan’s name for the disputed islands]. We have continued to follow our normal procedures, which include not filing flight plans, not radioing ahead and not registering our frequencies,” Colonel Steve Warren, a Pentagon spokesman, is cited as saying by Reuters. The Chinese Defense Ministry said its military monitored the two American bombers as they passed over the disputed territory, but refrained from elaborating on the situation, which Beijing apparently perceives as violations of its airspace. 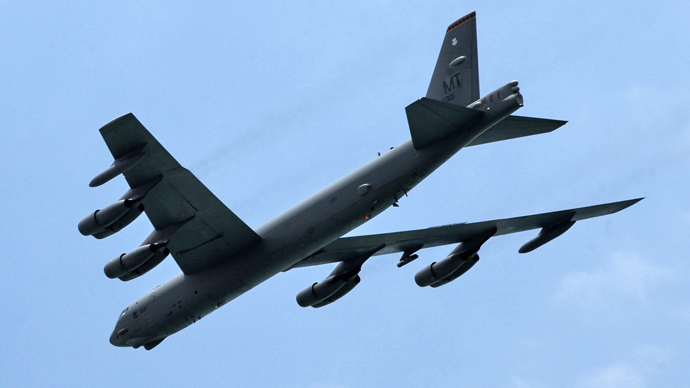 Unarmed B-52 bombers took off from Guam and flew over the Senkaku/Diaoyu Islands on Monday, according to statements given to the Wall Street Journal by unnamed officials. The US demarche was followed on Tuesday by Japan, when its two largest airlines, ANA Holdings and Japan Airlines, declared that they’ll stop submitting flight plans to Chinese aviation authorities. Both carriers have been informing China of flights through the recently established zone in the East China Sea. However, they will stop doing so as of Wednesday, a spokesmen for the airlines said. The announcement came after Japan’s Transport Minister Akihiro Ota called the declaration of China’s defense zone “not valid at all” and urged the country’s airlines not to comply with Beijing’s rules. Japanese Foreign Minister Fumio Kishida said that the government will continue talking to the country’s airlines as “it’s important for the public and private sectors to cooperate in showing China our firm resolve,” reports the Kyodo news agency. Kishida has had a phone conversation with US Secretary of State John Kerry, during which the two sides shared their "strong concern" over Beijing’s move. The US, Japan’s major ally, said that the territorial dispute in the East China Sea should be solved by diplomatic means. On Saturday, the Chinese Defense Ministry said that any planes in the vicinity of the Senkaku/Diaoyu Islands - disputed between Beijing and Tokyo - need to submit their flight plans to China’s Foreign Ministry or civil aviation administration, and they must maintain radio contact with Chinese authorities. 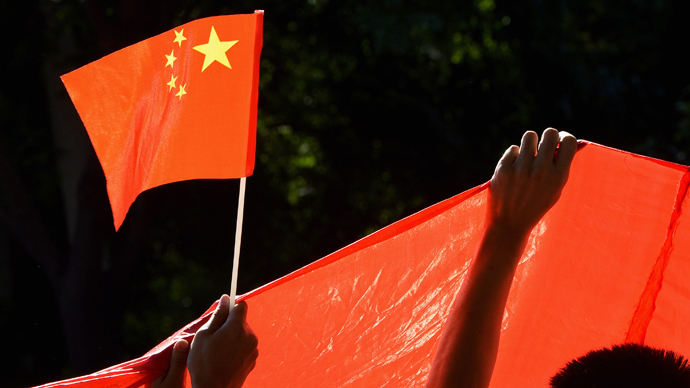 China has threatened to implement “emergency defensive measures” against planes that fail to comply with the rules. The US and Japan are considering the deployment of drone aircraft in the area, as a response to the Chinese move, the Nikkei newspaper reported, although they provided no source for the information. More than 20 countries, including Japan and the US enforce similar airspace identification zones, like the Chinese, in the interest of national security. However, those zones aren’t situated in disputed areas. 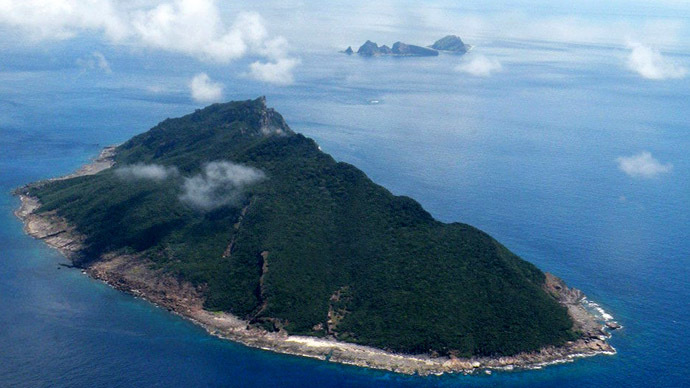 Tensions between Japan and China over the eight uninhabited islands, which are situated in waters rich with oil, natural gas and fish, ratcheted up after the Japanese government purchased three of the islands in the group from a private Japanese owner. Chinese patrol ships and airplanes have since been repeatedly entering and patrolling the areas around the islands, as a protest against the Japanese move.